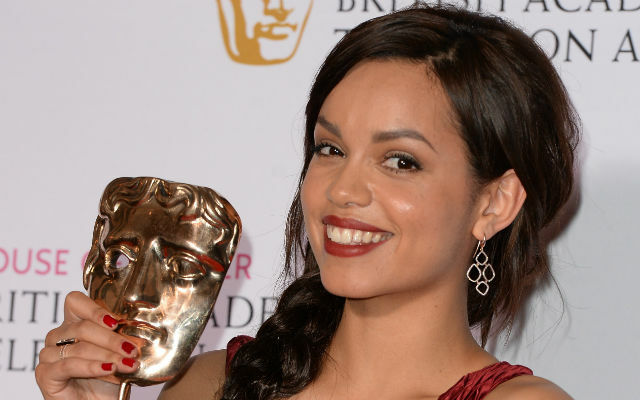 With a BAFTA already under her belt, 23-year-old actress Georgina Campbell is a true success story. But staying on top isn’t always easy. Here, Georgina reveals exclusively to us about why women have a tougher time in the creative industries than men and what it was like to work with Jude Law. I’ve always had a bit of an interest in acting. Myself and my older sister both participated in drama at school (although I was famously the one line wonder)! I suppose that was the beginning of me getting into acting. In actual fact acting professionally came about pretty incidentally. One day a director, Sarah Walker, spotted me on the street in London and asked me to audition for a role in a MySpace online drama called Freak. I managed to bag the role of the ‘freak’ and then got an agent. I have just carried on working from there. 2. Did you always know you wanted to do what you are doing now? Not at all, as a child I was obsessed with being an air hostess. I thought it looked like the most glamorous and exciting job in the world. I didn’t step on a plane until I was 16 and then I think the dream may have crumbled slightly! 3. Who has been the biggest star you have worked with? What were they like? I’m not sure who the biggest star I’ve worked with is actually…maybe Jude Law. I was pretty excited to meet ‘Alfie’ and he lived up to his charming name. He gave me a Fab lolly which was perhaps the highlight of filming King Arthur! I haven’t shut up about it since. 4. What would be your advice to aspiring actors? Be patient and do short films! Short films are such a fantastic training ground. If you’ve been to drama school or even if you haven’t, doing short films is great because they get you in front of the camera. You can also experiment with other people who are just starting out in their careers. I’ve had some of the best experiences doing short films at universities and with friends. 5. Do you think women in the creative industries have a tougher time than men? Yes I do think they do to an extent. There’s so much expectation on women to stay young. We seem to disappear off the screens after we turn 40. There are also far less substantial roles for women than men in the industry, it’s sometimes difficult to find female roles that aren’t just an extension of a male role. In Sweden they have a fantastic rating for ‘sexist films’ that I think we should bring over here! But it’s something that is changing. People are talking about the subject more and more which is bound to bring about change. I loved Patricia Arquette’s speech at the Oscars – she told it like it is. 6. Talk us through a normal work day – what time do you wake up? When do you finish? It’s so varied, one thing about acting is that you never have a set routine. If I’m working I could be up as early as 4am! A more normal wake up can be around 7/8am, and then I finish anytime between 6pm and midnight. You never know! When I’m not working I pretty much don’t get out of bed. I’m like a bear nestling in for the winter! 7. What can we expect to see from you over the next few months? You can see me in After Hours on Sky and E4s Tripped. Also Guy Ritchie’s Knights of the Roundtable: King Arthur will be on the big screen later this year, which I am in alongside Jude Law. I have a few other projects I’m equally excited about. It should be an exciting year!